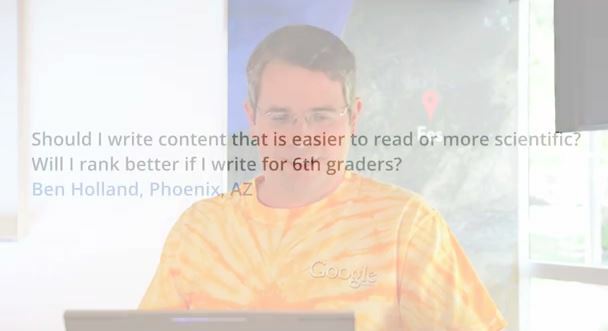 Excellent explanation by Google’s head of search spam Matt Cutts on the question Should I focus on clarity or jargon when writing content? comes from Ben Holland, Phoenix, AZ, Feb 26, 2014. For technical details and scientific explanation, you write the best a few extra pages for the experts. With too much content page is anyway no longer legible. Found easily by both human visitors and the robots. Conclusion: Write to everyone, simple text easy to understand and to probe soon.